Equipped with eight spindles and eight slides for main operations, and housing up to three tools per slide, the MultiSwiss 8x26 takes the performance of the MultiSwiss range to a new level, both in terms of complexity and productivity. 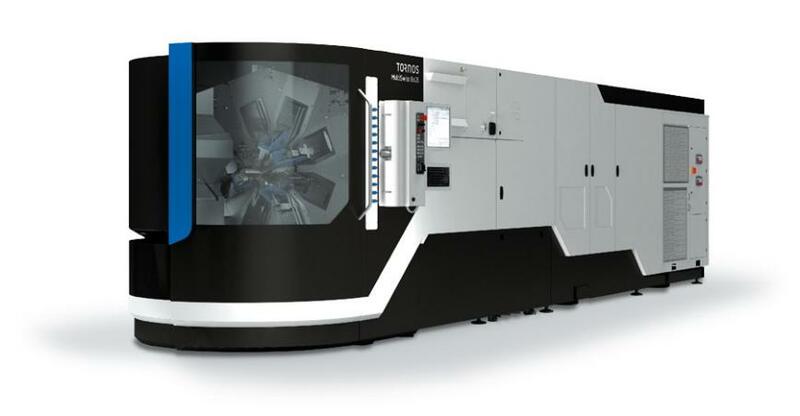 Thanks to its eight highly dynamic synchronous motorspindles and ultra-fast barrel indexing, the new MultiSwiss 8x26 can produce turned parts, achieving very high levels of productivity. Its powerful 11-kW motorspindles boast a high torque (16.1 Nm). Operating independently, they are all equipped with a C axis, including the counter spindle. Reaching speeds of 8000 rpm in only a few tenths of a second, they make a major contribution to the machine&apos;s performance. The maximum length of standard parts is 65 mm. As an option, the machine can be equipped with Y axes to further boost its workability. The machine is available in three configurations: without Y axis (entry-level); with three Y axes (intermediate); with six Y axes (complete) for the most complex parts.